Love the Game of Golf? Take your game to the next level on our cutting-edge simulators, play courses all over the world and get in more practice time with our discount membership packages. We offer lessons with our on-site PGA professional for players of all skill levels and ages – kids included! Learn how to play the game of golf in a relaxed and comfortable environment. Locally-owned and operated, we are your local hangout! Participate in our golf challenges and leagues or just come in to watch games and enjoy our full service bar and great food. SWING ZONE IS THE PERFECT PLACE TO RELAX, HAVE FUN AND ENJOY THE GAME OF GOLF! Many great opportunities with your membership. Co-Ed Leagues held weekly with CASH prizes. Learn from our onsite PGA professional. 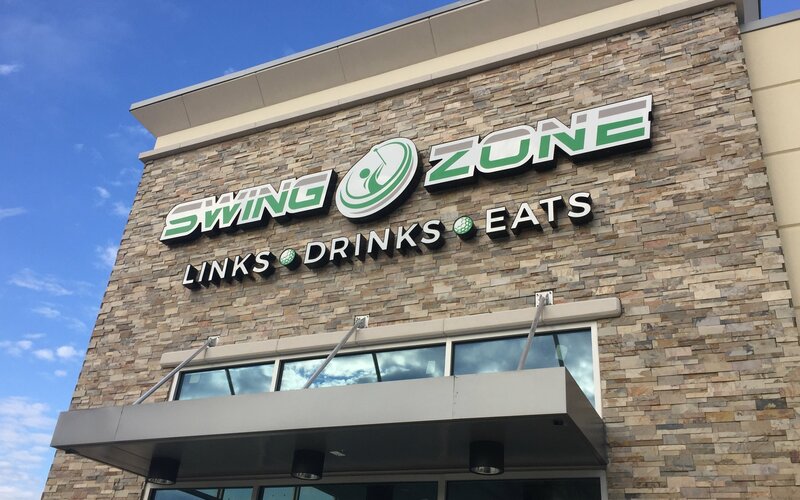 Sign up to receive golf tips, upcoming events and discount offers from Swing Zone!